Contactless card payment now on London buses! Busandcoachinsurance.net can reveal that bus passengers in London are now able pay for travel using a contactless credit, debit or charge cards-as well as their cash and oyster cards! Providing it was issued in the UK, commuters who have ‘contactless’ symbol displayed on their card (pictured right) can now purchase a single ticket without the need to enter it into machine. The new process has proved to be extremely efficient and more convenient for passengers and bus drivers alike. Customers are simply required to touch their card flat on the yellow reader as they board the bus-exactly the same as with an Oyster card. This has obviously eliminated the need for drawing out cash, counting change and entering pin numbers etc. The only problems that have occurred so far includes customers putting their entire wallet or purse before the scanner. If they have two cards with this facility available then either both get rejected or it is possible they could even be charged twice! Some cards that have been updated with the contactless payment ability also may not have the symbol. However, card providers normally inform their customers on issue and upgrading is usually possible. Our bus and coach insurance team are always pleased to hear about things that make the life of our policy holders a little easier! We also aim to keep you updated with the latest news relevant to the industry. 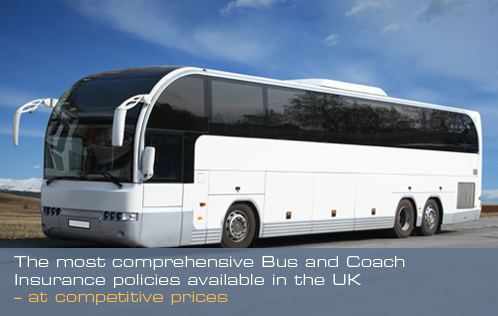 For advice regarding your minibus, bus or coach insurance freephone 0800 980 3425. We are always happy to help!